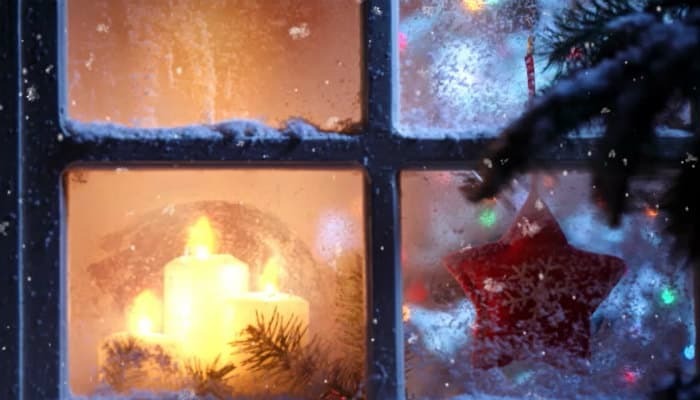 If you are a fan of the joy of Christmas themed TV then you will know that there are a whole host of Christmas movies that feature the scene of a beautiful festive holiday window display looking into a cosy family home. It is a situation that we all have to admit that we will want to join in. Our Cosy holiday home holiday ecards for business are just one of these scenes. When it comes to Christmas ecards for business you can’t get more inviting than this particular choice. Featuring the simplistic beauty of a Christmas tree nestled in the background with a few flickering candles illuminating the room. But what we particularly love about this design is the frosty windows, taking us to a snowy winters days and making us feel even more festive. Much like the rest of our fantastic range of ecards one of the biggest plus points of choosing us is that you can fully customise and personalise the words included in the ecard to make it your own. You can even add your business logo to the text. What could be better than that? Perhaps the only thing that can top it is Christmas day itself!